Taxes can be a complicated issue, especially if you are a college student, and there is plenty of conflicting information about whether or not you should file a tax return. If you are unsure about your tax situation, it's a great idea to consult with an accountant in order to determine whether or not you should file a tax return. The tax help professionals at Wheeler Tax & Accounting, located in Winchester, KY, discuss how their tax accounting services can help college students. If you are a busy college student with no time to worry about your tax situation, filing a tax return is probably one of your lowest priorities. Although studying for exams might be a bigger concern, it's important to determine if you need to file an income tax return before the April 15 deadline. 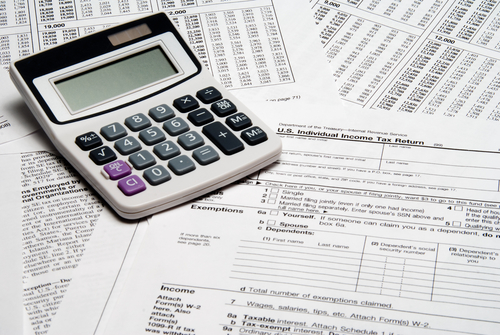 The professional accountants at Wheeler Tax & Accounting can review your tax forms, discuss your financial situation with you, and help you determine if you should file a tax return. When you meet with an accounting service professional, you will discuss whether or not you are considered a dependent—in which case your parents can claim you on their tax return—or independent. You will also review your income and whether you are eligible to receive education tax credits and student tax credits for being a college student. The accountant uses your W-2 wage statement in addition to your tuition statement form, showing your qualified educational expenses, to determine whether or not you should file a tax return and if so, which tax form needs to be completed. You can rest assured knowing that a professional is taking care of the details of filing your taxes and that you will get as much money back as possible. The accounting services professionals at Wheeler Tax & Accounting have over 25 years of experience accurately preparing tax returns for their many clients. Give their accounting team a call at (859) 744-1000 or visit them online to learn more about their payroll processing services.